So, it’s a brand new year. We don’t like to suggest it’s time for a “brand new you” because we think you’re pretty great already. But, if you’re like us, there’s a habit or two that could do with a little attention; small things that get overlooked in our hectic day-to-day and slowly, over time, snowball into a quagmire of disappointed dietary goals and healthy lifestyle dreams. So, what do you say? Time to hit the “reset” button on our gluten-free ambitions? We’re being pretty literal here. When was the last time you deep cleaned? Your kitchen, specifically. For sensitive celiacs, this can be a real boon to your health and a habit worth repeating. For a step-by-step manual to guide your pine fresh efforts, take a look at this. Step 2: Reacquaint yourself with food. We’re talking about food ruts. Anyone and everyone can fall into them. We get used to writing the same lists, restocking the same items, and popping into the store frantically on our lunch breaks to pick up the same one or two things we always seem to need. It’s not a gluten-free problem specifically, but when so many options are already off-limits, is a rut really where you want to be? Okay then… what can you eat? Too often we start the discussion with foods to look out for while grocery shopping because they’re known to contain cleverly disguised gluten. But, we can also look at it another way: the rainbow array of foods – fresh or otherwise – without a scrap of gluten to begin with. This quick list of products and snacks shows that there are plenty of ways to write a grocery list that avoid the issue altogether (and are incredibly healthful to boot!). Check out our previous blog post on the subject for recipes and lists of seasonal offerings broken down by region. Resolve that no matter what, you will try at least one new gluten-free recipe per week. Large or small, this will help you discover which dishes you not only like, but which ones can be prepared quickly or in advance for dining on the fly. Set aside some time on Sunday night and draw up your menu for the next week (recipes, nights out, and pre-prepared meals included). If you’re in need of inspiration, just head to our searchable database of over 5,000 recipes! Of course, we know what you’re thinking: if this were as easily done as it is said, we’d all be doing it. We get tired. And when we do, making a hearty gluten-free meal from scratch can sound exhausting. Even chopping up a fresh snack is a chore. These are the times when we are most tempted to eat foods that are bad for us. To say “forget it,” melt a boatload of cheese on a few questionable broccoli florets, and call it good. BUT – lo, come closer – there are shortcuts! Imagine making affordable, ready-to-heat meals that are homemade and always on hand… that’s the beauty of make-ahead frozen crockpot dinners! Seriously, try this once and you’ll be hooked. Our recent write-up on crock pot cooking is full of meal plans, grocery lists, recipes, and everything else you need to have a healthy, hot meal waiting for you when you come home. Little to no effort necessary and ready as far out as a full month. Resolve to look on the bright side of things! Don’t focus on all of the things you can’t have but rather those you can. As we said earlier, tons of foods are naturally gluten-free and 100% delicious. If you tell yourself it’s as easy as packing your own snacks for a party or skipping the restaurant because you have an amazing recipe you want to try, it’ll feel a whole lot less frustrating. We love this editorial by Shauna of Gluten-Free Girl and The Chef about staying positive during the holiday season. Her advice is good year-round! Going gluten-free for the first time? Even if you don’t have celiac, you may feel this is necessary to feeling better, stronger, and more energized. Good for you. But be realistic about how difficult it can (and will) be. Start by telling someone what you’re doing! We are all exponentially more likely to stick to our goals when there is someone we feel accountable to. If no one knows, it’s much easier to say “not today” or “just forget it”. Have all the other bases covered? Good. For. You. Seriously, we are so impressed. And even if you don’t, that’s okay! Our communities, and our nation as a whole, needs you to share your stories, struggles, and discoveries so we can continue to advance education, diagnoses, and treatments for those experiencing the myriad trials of living with celiac or gluten-intolerance. Why not make 2015 the year you become directly involved in advancing awareness? We have LOTS of ideas, suggestions, and game plans to help. Just take a look right here. And hey, grab a friend! Perhaps they’re gluten-free as well or maybe they’re someone who suspects they have Celiac or gluten-intolerance. Get them to join you in not only achieving these lifestyle goals, but in reaching out to your community. It’ll not only be a lot more fun, but you may both reap the healthy benefits. Cheers to you and a bright, beautiful, brand new year! We hope it’s a good one. 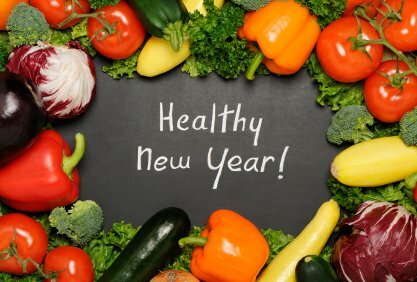 Got more resolutions or advice you’d like to share? Put it in the comments below. Happy 2015!